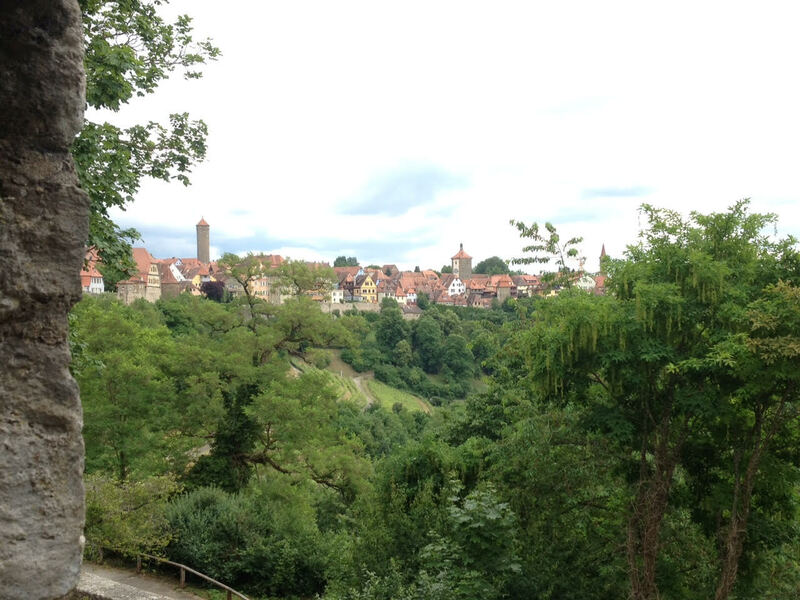 During my third weekend in Europe I traveled to Dietzenbach, Germany, a smaller town near Frankfurt. 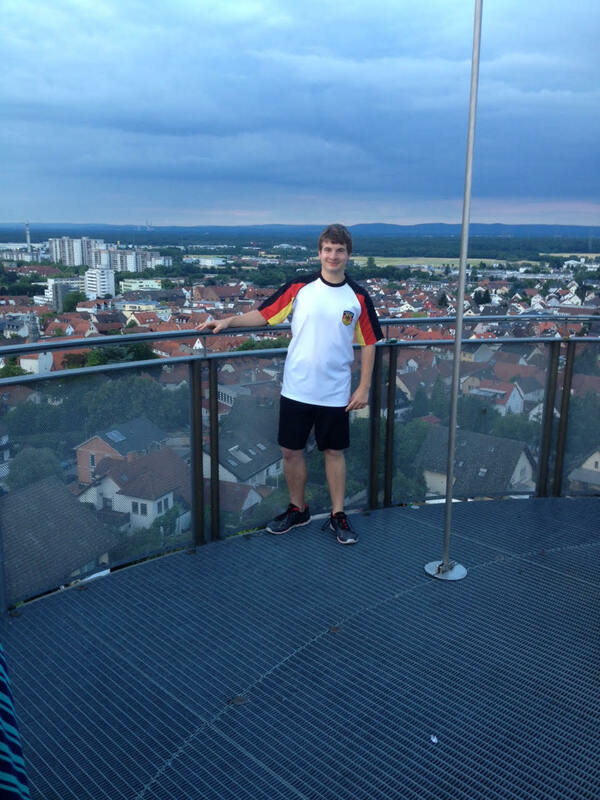 I had a great time on this weekend trip in Germany. 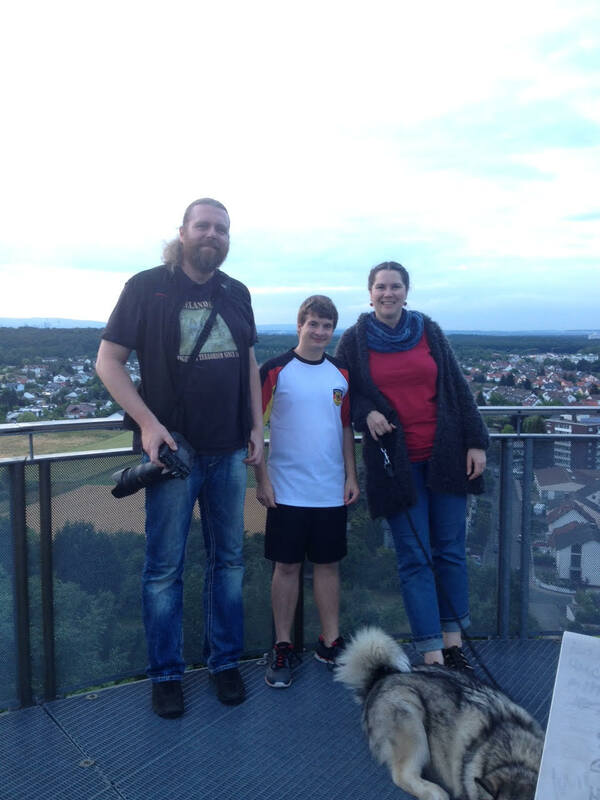 My friend knew some people from Dietzenbach and we were able to stay with them. The first day there our host took us to a nearby town and we toured some very unique old buildings. That night we also went out to a nice ice cream shop and sushi restaurant for dinner. The second day my two friends from my study abroad program and I went to Frankfurt, Germany. Here we were able to go to the Städel museum and see their series on Monet. We saw several famous paintings by this artist, such as The Japanese Bridge, his Cathedral series, and countless more. This was nice as I had never really been to an art museum before. Next we walked on the lock bridge over the Main River, which lead to the Frankfurt Cathedral. This was an impressive Catholic Cathedral with many very old graves and structures inside. After this we rode the train back to Dietzenbach and had schnitzel and fries that our host made for us. 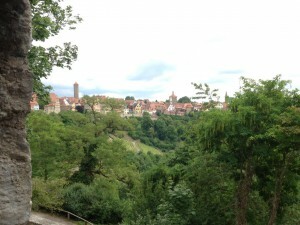 Our third day in Germany we went to visit Rothenburg, Germany. This was a very beautiful city that had a lot of medieval buildings to see. We started by walking along the old fortress walls and then going to the city center where the town hall was located. They had a very interesting Christmas shop near the city center. It had a ton of ornaments and decorations you could buy for a fair price. After this we went outside the fortress to a park area where they had a lot of landscaping and old tombstones. We took many pictures here of the fountains, hills around the fortress and statues in the various gardens. Back inside the castle we saw another Cathedral that was very beautiful, but it wasn’t as large as the one in Frankfurt. We finished this small city with a trip to the Torture Museum. This was a very interesting and large museum and was fairly inexpensive to visit. When we made it back to our home in Dietzenbach we had dinner with our host’s family. This was the best dinner I had in Europe thus far. We had bacon wrapped strips of cheese and sheep, potato salad, bread, baked potatoes and grilled ribs with a homemade barbecue sauce. After dinner our hosts took my friends and me up the hill by their house to a tower where we could see the whole city and take pictures with them. The next morning we got up and traveled to Frankfurt to get on the train back home. We said our goodbyes and left back to Bregenz, Austria. I really enjoyed the people we stayed with. They were very nice and taught us a lot about Germany, German words and their culture. My study abroad has been a great experience thus far. I’m halfway through my program in Bregenz, Austria and have loved it. After the first week of classes, our director took us on a group excursion to Munich, Germany where Dachau concentration camp is located. We toured this camp for a few hours and it was a very humbling experience. After this we were allowed to break up into groups and travel to wherever we wanted for the weekend. A few groups went to Berlin and Prague. 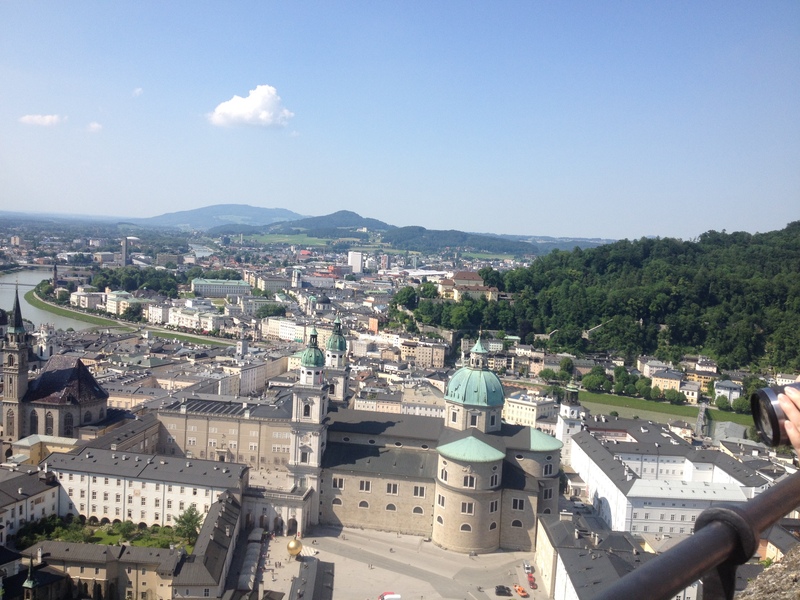 However, my friends and I decided to go to Salzburg, Austria. 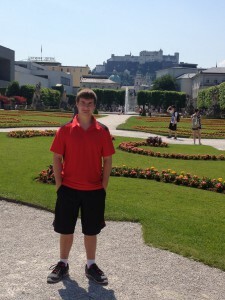 Salzburg is not a huge city, but it is very beautiful. I was able to see several old churches and cathedrals in Salzburg. Some notable places I visited were the Mirabell Palace and Gardens, the Hohensalzburg fortress, Mozart’s childhood home, and the lock bridge. The lock bridge is a place where you can put a lock on its chain links and throw the key in the river. Our group made a lock for the KIIS study abroad program. We toured Salzburg for two days and I was able to visit the main landmarks, see some beautiful sights, and purchase some great souvenirs. I enjoyed these two cities very much and plan on visiting more Austrian and German cities during my study abroad. I only hope every weekend will be as fun and interesting as this one has been. I have a great group of friends and really enjoyed traveling with them to these beautiful and historical cities.